Saron Lutheran would be honored to be your church home! Please speak with our pastor if you are interested in membership. 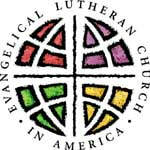 Membership is generally preceded by a period of instruction in the Christian Faith and our Lutheran Heritage.